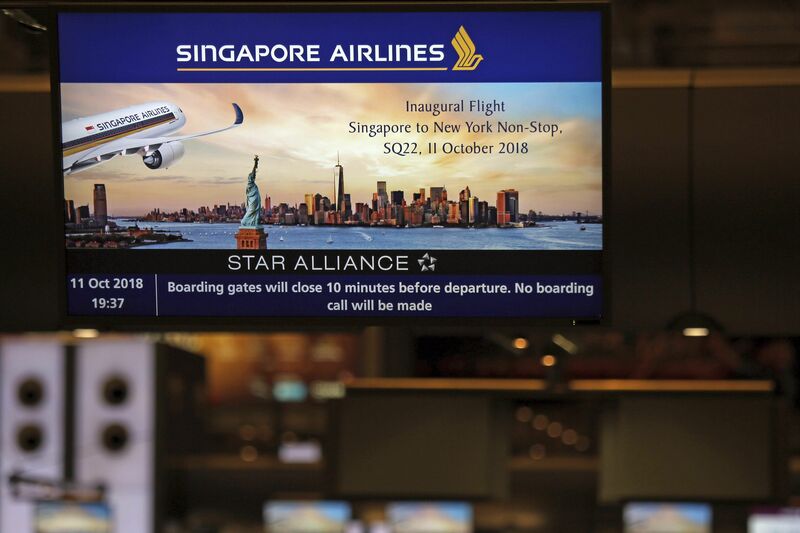 NEW YORK: Singapore Airlines flight arrived in Newark on Friday after a nearly 18-hour trip from Singapore, completing the world's longest commercial flight. Singapore Airlines Flight SQ22 arrived at 5:29 am (local time), the Newark Liberty International Airport website said. That made for a flight of 17 hours and 52 minutes. The flight had been scheduled to take 18 hours and 25 minutes. The plane was carrying 150 passengers and 17 crew members. This trip was made with the new and more fuel efficient Airbus A350-900ULR. It topped the previous longest direct air link between cities - Qatar Airways Flight 921 from Auckland to Doha, which takes 17 hours 40 minutes.